As part of the Mechanical Bull album release, Kings of Leon formed a partnership with Klipsch. 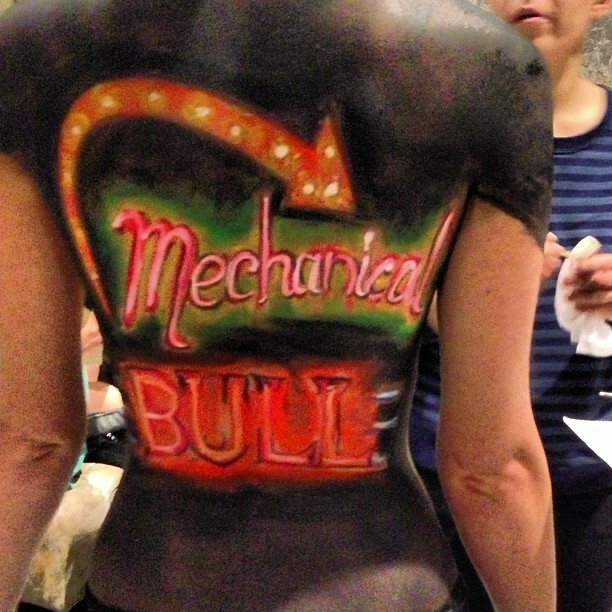 We were hired to do body painting on 6 models for the event to celebrate that partnership. We painted the album cover on 4 models using regular and glow-in-the-dark paints (for the neon colors) and some text and logo for Klipsch. Here are the images of the finished body paintings.